What would happen if someone did the unthinkable-and didn't deliver a letter? Filled with stunning parallels to today, The Postmistress is a sweeping novel about the loss of innocence of two extraordinary women-and of two countries torn apart by war. 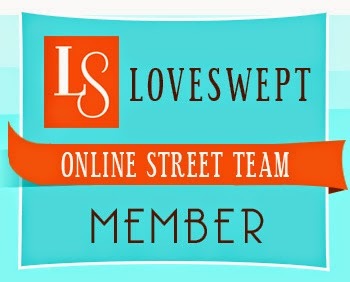 Put your Blog name &amp;amp;amp; URL in the Linky thing. 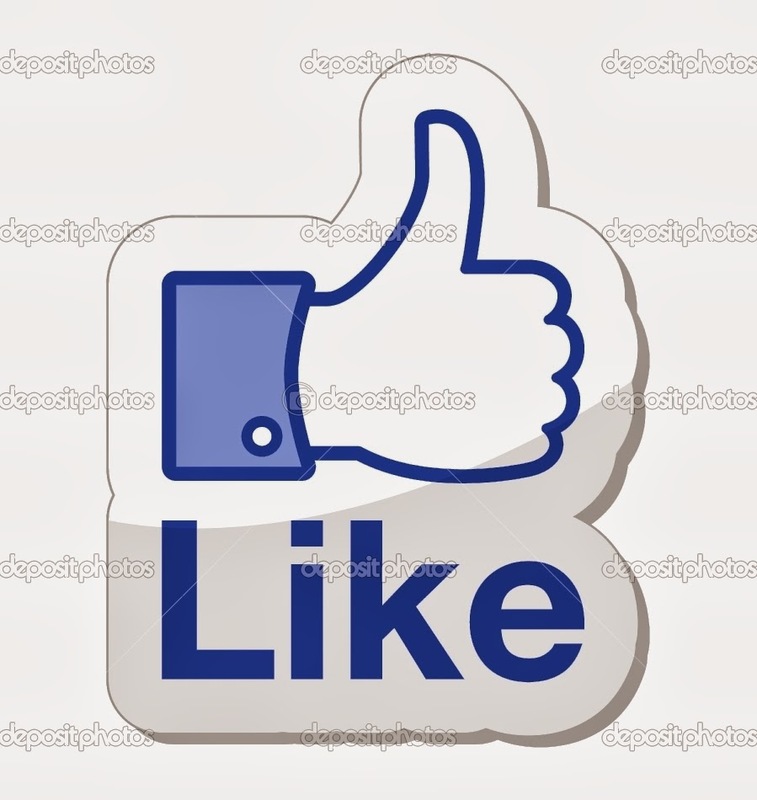 You can also grab the code if you would like to insert it into your posts. This is a tough one. I'd have to say any one of the mythical creatures in the Book of Fairy Tales from the book The Forgotten Garden by Kate Morton. The book plays a small but important role in the story and all of the stories within this book have characters and creatures that hold a moral and ethical value to them. In a society where this is so easily forgotten I think it would be great to have a few of them amongst us! Cassandra is lost, alone and grieving. Her much loved grandmother, Nell, has just died and Cassandra, her life already shaken by a tragic accident ten years ago, feels like she has lost everything dear to her. But an unexpected and mysterious bequest from Nell turns Cassandra's life upside down and ends up challenging everything she thought she knew about herself and her family. Inheriting a book of dark and intriguing fairytales written by Eliza Makepeace - the Victorian authoress who disappeared mysteriously in the early twentieth century - Cassandra takes her courage in both hands to follow in the footsteps of Nell on a quest to find out the truth about their history, their family and their past; little knowing that in the process, she will also discover a new life for herself. This book is about two woman who are trying to uncover their family's past. There is Nell, who on her twenty first birthday, found out that she is not who she thought she was and then Cassandra, her grandaughter, who knows nothing of Nell's secret until after she passes away. The book jumps back and forth through time periods of each woman in their quest to find out the truth. Not only does it tell their story from different decades, it goes back to before either of their time to the Mountrachet family where it all begins. This is where we are introduced to Eliza and Rose. I must say that I found it a little confusing when I first started the book. Each chapter would leap between different time periods and characters and I had to keep looking back to remember who I was reading about. 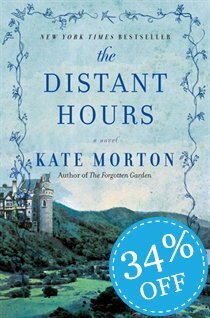 It wasn't until I got deeper into the book that I thought that it was brilliant the way Kate Morton began the story. By the time the story was well underway and I was captivated, the characters from every timeline were so well developed that I felt like I knew them. I cared about them and could not wait to read more about them. With each chapter little pieces of the puzzle were uncovered and I loved trying to figure out how it would all tie together in the end. I was right about some, and wrong about others. I was completely hooked up until the very last page. Morton brilliantly tied the pieces between past and present to tell this story of Nell's family past. 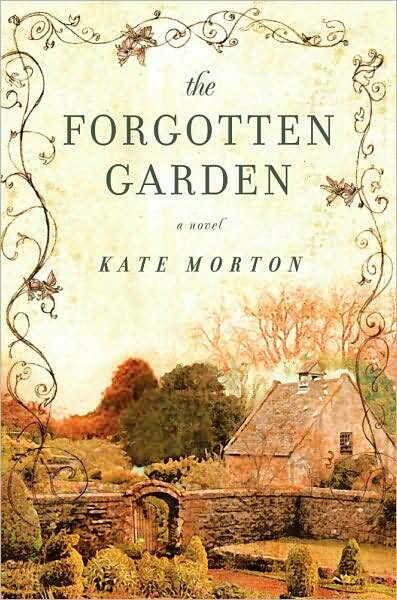 This is the first Kate Morton book that I have read. The House at Riverton is on my bookshelf and after reading The Forgotten Garden I am sure I will be picking it up in the very near future. I will also be borrowing her latest from Terri the next time I see her. I loved this book. If I had to describe it in one word I would have to say STUNNING! I am so glad that Kristine has finally read this book! I read this several months ago hence the reason I waited for her to submit her review as my recollection is not as fresh. I fell in love with this book from the very beginning. I love the way there were several stories in one weaving from 1900 to present day in order to bring the reader to the conclusion of one mystery. I was swept away on a journey with the character's and I did not and could not put the book down. Morton has an uncanny knack of taking me away to a different frame of mind. I found myself thinking about this book and what would happen whenever I had put it down, I was dreaming about it and the I could not shake the "zone" it put me in while reading it and well after finishing it. In fact, Morton has managed to do this with all three of her books. I am still trying to shake the indescribable feeling her most recent book has given me. I did not discover this book by accident, quite the opposite. I was anxiously awaiting it to come out in soft cover so that I could go out and purchase it. Seriously, with the way I have been reading lately, who wants to pay hardcover prices? 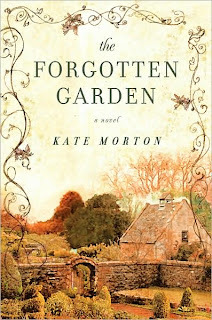 I did however discover Kate Morton by accident when I read the Forgotten Garden. I have not posted a review as it has been a few months since I have read it however I am anxiously awaiting Kristine to finish it and post her review so that I can add my two cents. My suspicions are that she will finish it today. After reading it, I then read The House at Riverton, again will have to wait for Kris' review and promised myself I will by all future books written by this author. After reading a few pages (100 to be exact) I was sadly disappointed. I found it slow to get in to and way too descriptive to the point of losing my attention. Luckily for me I always finish a book once started and after page 100 I was hooked. As is typical with all of Morton's books, I got swept away in the mystery and could not wait to turn the next page to find out what would happen next. The story is told in the present day (1992) and in 1941 giving life to the character in both generations. This is what has drawn me to Morton is the fact that she tells story over multiple generations and always delivers the story from the viewpoint of each principle character in each generation. Once the story got rolling and we started learning more about the characters, I was lost to her words and where they were taking me. Nothing else existed for me, my husband was ignored, work was annoying for taking me away from the book and the television did not get turned on. I am not going to get in to any details of the book. I feel that they need to be discovered while reading and giving anything away would be too much. I will say that I was only able to guess correctly certain parts of the mystery as it unfolded and much less than I normally do (and less than The Forgotten Garden which has to be in my top 5 novels this past year). It is hard to describe the feeling now that I have completed the novel. It has been about five hours since I read the last word and the book is still with me. It is a haunting story and has left me feeling haunted still as I type these words. That's the closest I can describe however I don't think it is accurate to how I am feeling. I'm not sure if I like this feeling however like it or not, it is how I can gauge how lost and involved I am in a storyline. All in all, I would recommend this book. I am only giving it a 4 star rating due to the first 100 pages that I found difficult to get through. It would be higher if I were to rate it from page 101 on. I also highly recommend both of her other titles and I cannot wait for Kristine to read them all so that I can discuss them with her. As I said previously, I will own and read all of Kate Morton's works as she has managed to get me lost in her words three consecutive times. The unfinished letter is the only clue Tara and Emerson have to the reason behind their close friend Noelle's suicide. Everything they knew about Noelle—her calling as a midwife, her passion for causes, her love for her friends and family—described a woman who embraced life. I am a huge fan of Diane Chamberlain's books. I started by borrowing a couple of books from friends and was hooked. After a trip to the bookstore, I ended up buying every title I could find. Now here is where my relationship with her books takes a strange twist. At the same time that I purchased her books I went on a health kick determined to lose a little weight. I decided that I was only going to read the books while I was on my elliptical, recumbent bike or treadmill. I figured this would motivate me to get on my equipment every day. Was I right! I found that all of her books pulled me in right away and I couldn't wait to workout so that I could read a little more. When I would look down at the time on my equipment I was shocked that I had been on them for over an hour each! That's over three hours of working out a day just so I could finish the books. I was actually finishing the books faster and I lost fifteen pound in the process! I secretly call it the "Diane Chamberlain" diet. I have never let anyone in on my weight loss secret until now. I also have a real soft spot for Diane Chamberlain as a person because of my daughter, Sierra. She started a blog when she was eleven called The Reading Chic (www.thereadingchic.blogspot.com) and she reviewed one of her books. She then asked her for an author interview and she gave it to her. It meant so much to Sierra and showed so much character that Diane Chamberlain would give some of her time to someone who was eleven years old at the time. I absolutely loved The Midwife's Confession. Each chapter is told through the eyes of a different character in typical Chamberlain style. This is part of the appeal for me. You get to know each of the characters so well that you feel you have always known them. This is also what makes her books so easy to read. 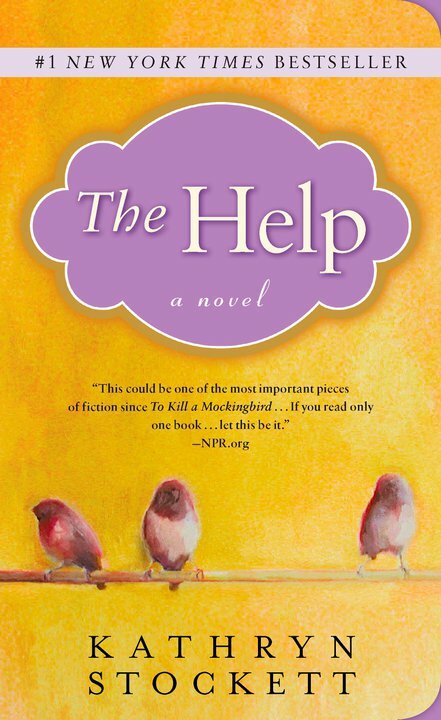 At the beginning Noelle commits suicide and the whole book revolves around Tara and Emerson, her two best friends, trying to figure out why she did it. They discover that Noelle had secrets that turn their lives upside down. Just when you think you have it figured out, something else happens. The characters are wonderfully written and the story flows flawlessly. This story tests the boundaries of friendship, love, family and relationships and keeps you guessing with every turn of the page. If you haven't read The Midwife's Confession I suggest you do. 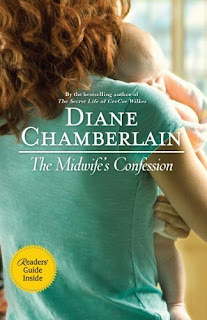 If you haven't read a Diane Chamberlain book then you are really missing out. There is not one of her books that I haven't enjoyed. I can't wait for the next one! Put your Blog name &amp;amp; URL in the Linky thing. 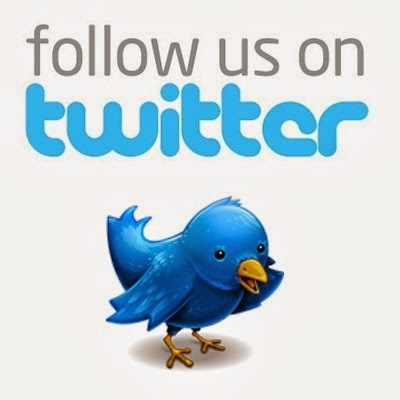 You can also grab the code if you would like to insert it into your posts. 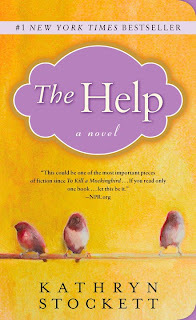 I would write myself a part in the book The Help as a friend and supporter of Skeeter's. She had no people in her life that supported the way she thought and what she was doing except for the help themselves. I would be the one friend in her life that did not abandon her in her efforts to make a difference. When Eva's film star sister Katrina dies, she leaves California and returns to Cornwall, where they spent their childhood summers, to scatter Katrina's ashes and in doing so return her to the place where she belongs. But Eva must also confront the ghosts from her own past, as well as those from a time long before her own. For the house where she so often stayed as a child is home not only to her old friends the Halletts, but also to the people who had lived there in the eighteenth century. When Eva finally accepts that she is able to slip between centuries and see and talk to the inhabitants from hundreds of years ago, she soon finds herself falling for Daniel Butler, a man who lived - and died - long before she herself was born. Eva begins to question her place in the present, and in laying her sister to rest, comes to realise that she too must decide where she really belongs, choosing between the life she knows and the past she feels so drawn towards. 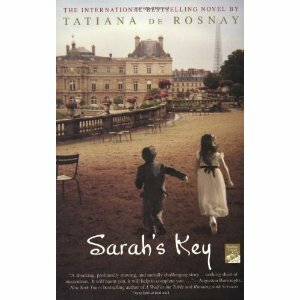 This is the fourth book by Susanna Kearsley that I have read. 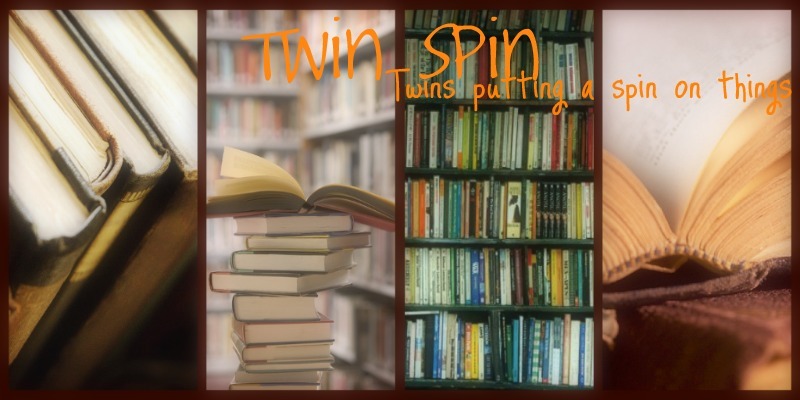 Terri and I came across her books during one of our trips to the book store when searching for different books and authors. We didn't have anything in mind and we were randomly searching the rows of books for something that caught our eye and interest. I can't remember who, but one of us picked up one of her books, read the back, and thought it sounded interesting. We decided to give it a try. After both enjoying it, we were both excited that we had found a new author to enjoy. 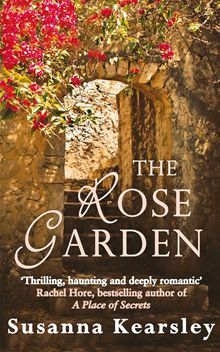 After reading Mariana, Every Secret Thing and The Winter Sea I decided to read The Rose Garden which is her latest release. I wasn't disappointed. Let me start off by saying that this is a book about time travel. It is not for someone lacking imagination. It ever so slightly reminded me of the Outlander series with a hint of The Time Traveler's Wife but in a more condensed and less detailed way. Eva finds herself slipping back to the 18th century where she finds Daniel and falls in love. Daniel is a Jacobite with strong loyalties to his kinsman. This is where it is similar in a way to Diana Gabaldon's Outlander. Unfortunately, I found that Kearsley's characters and story lacked the amount of chemistry and adventure of Gabaldon's. I was drawn to characters and their unique hardships but was hoping for more. Having read a few books about the Jacobite period and the uprising I was able to understand the story taking place in the 18th century but someone who has not may find it a little confusing. The details of that period were better written in her book The Winter Sea which is probably my favorite book of hers. I would suggest reading that one first. Having said all that, I did really enjoy the book. It was a quick and easy book to get through. I finished it in a day and a half. The complications of traveling back and forth through time were interesting to say the least. Anyone who likes a good love story with a little bit of historical value to it would really enjoy this book. 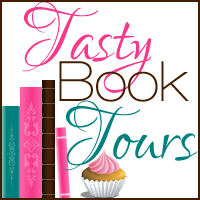 Susanna Kearsley is a "new to me" author who's books I'm happy to have discovered. I read this some time ago so I figured I would let Kristine post her review when it was fresh in her mind and I would add my two cents in. As she mentioned, this author was a surprise find of ours when we first discovered the book Mariana while browsing. Upon reading it, I knew I wanted to read her other books. I too have read four of her books (in order of preference) Winter Sea, Mariana, The Rose Garden and Shadowy Horses. The book Every Secret thing is sitting on my to be read shelf at the moment. Until a few moments ago, I thought these were all of Kearsley's novels however research has turned up some more titles. Unlike Kristine, I have not read any of the Outlander series so I cannot draw upon any comparisons. What I can say is that I really got lost in this book as I have most of the others. I really enjoy when a book has a plot set in the present day as well as one set in the past (a common theme in Kearsley's novels) and tend to seek out these type of story-lines. In this case it is about time travel. While this would be considered part of the historical fiction genre, I more-so enjoyed the romantic side of the story as it did not fall in to the cheesy category that so many romantic themes can find themselves victim of. I found the characters were well developed and that the story flowed well. Overall I would give this novel a solid 4 out of 5 and would recommend this book and any of her others for those looking for a good easy read that will help you escape for a few hours. If you were to read only one or two, I would however recommend The Winter Sea first followed closely by Mariana. 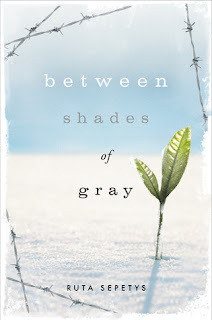 I absolutely loved this book and could not put it down. It is such a unique book told from an even more unique perspective. It is genious! The racial divide in Mississippi in 1962 was enormous and something we all know a little about but what this book does is show (so flawlessly) the perspective from both sides in a very unique story. You can feel the inner conflict and turmoil in each of the characters. I laughed, I cried and was even tempted to throw the book across the room a few times. Hearing the stories of these maids ( although fictional) can give you a little understanding of what it was like during that period for them. I also loved how the character Skeeter was written. She understood and knew that what was going on was wrong but was so powerless to the views of her society to speak up without dire consequences. Without giving anything away I want to quickly mention Hilly Holbrook. Although I hated this character there is something very familiar about her. We all know one. The person that knows everything, is right about everything and nobody ever goes against. The one that will have you alienated from everyone if you dare go against her. The one that can't see any farther than her own head. In the book it is her racism and views on segregation that make it impossible for the characters in the book. I truly hated her. This book was made into a movie that was released just this week. I intend to go see it although I can't see how it could possibly portray the emotion as well as the book. I strongly encourage everyone to pick this book up and read it. You will not regret it. I could go into much further detail about this book but will refrain as I don't want to give anything away! I just picked this book up yesterday & finished it today. I was thinking about what I wanted to say in my review and then I read Kristine's review. Sometimes this twin thing is a bit creepy because she covered everything I wanted to say! I have to second what she said, there was a little something about all of the characters that we can relate to people we know today. If I want to get deep for a moment, it goes to show that although the times have changed and the issues may be different today, people really never change. Some people will always be close minded and judgmental and some will always take that extra step to do something they believe in while everyone in between just plays lip-service. I do not think that there is a single person out there who could not identify with these characters in one way or another. I will keep this short but will say that this was an amazing book. I will also add that Minny was my favorite character. I couldn't get enough of her sassyness. When I was in school, I took a class titled American Cultural History. I took this class not because I wanted to, but because the courses that I did want to take were full. This ended up being my favorite class because instead of textbooks I was assigned 15+ novels to read. What does that have to do with this book? Nothing really if you look at it literally; this novel takes place in Lithuania and details the plight of the Lithuanian people during WII while the course I took revolved around America. The reason why this course popped in to my mind as I sat down to review this book is that both peaked my interest in historical events through written literature. While textbooks can be dry and boring, history told through the eyes of a character living a story makes you feel closer to what happened and more importantly, makes you want to learn more. I will be honest and say that I did not know a whole lot about what occurred in Lithuania, Latvia and Estonia in the 1940's. My interest in WII up to this point has mainly focused on events surrounding the Jewish people and the holocaust. This book taught me about Stalin and his regime beyond the standard chapter in a history book that we are taught in school and has made me want to learn more about what occurred in the Baltic region during this time. I found this novel to be very easy to read despite the heavy content and was able to read it in one day. The characters were all strongly written and their journey eloquently detailed. I was able to smell the smells, feel the pain and suffering and celebrate the happy moments along with Lina. This was a story of strength and love in a time of hatred and oppression. The story was told through the eyes of a 15 year old girl who you are rooting for from the very beginning. I borrowed this book from my niece Sierra (www.thereadingchic.blogspot.com) after discussing my interest in novels about the holocaust with her. I will start by saying that this book falls under the young adult genre and is written for a younger audience than myself. That being said, I found that this book had many subtle messages within that may not be clear to a younger reader or one that is not educated on the holocaust and Auschwitz in particular. In my view, the fact that this was written through the eyes of an innocent and naive nine year old boy who was ignorant to what was occurring behind the fence was genius as it symbolized the greater ignorance of a nation during this tumultuous time. At one point the boy asks the question to himself of who decides who gets to wear the striped pajama's and who wears the uniform. This is a question that can spark much debate still today. This is just one example of why I enjoyed this book I found that it really made me think and would make a great readers club selection (and most likely has been). Lastly, without discussing the outcome, I feel that how the author chose to close this story was exactly how it should have been. Ultimately, I would recommend this book to the young adult audience however add that I also think that it is a great tool to have adults read it as well in order to initiate conversation to bridge the generational gap (and maybe explain some facts to those less knowledgeable on the subject) on this important and tragic part of our world history. Terri gave me this book to read after she finished and loved it. Unlike her, I curled up in a chair at the lake to begin reading it. I try to convince myself that I burnt just as many calories as her but who am I kidding! I found it to be a very quick read and finished it in no time. Terri called me and asked me what I thought of it and I told her I hated it! Having said that I had to explain that I thoroughly enjoyed it but hated the events that happened in it. The only thing I can say that best describes how I felt was that I loved and hated it at the same time. This is a book that you have to read to fully understand. I couldn't agree more with Terri's review above. This book is not for the light at heart. If you are looking for a quick and easy read I do not suggest you pick this one up. With over 750 pages this book deals with love, heartbreak, tragedy, war and the efforts to survive in the most primal and unthinkable circumstances. I found it started a little slow but once I got into it I found I couldn't put it down. I have always been a fan of historical fiction and this one did not let me down. The characters in this book endure an unthinkable amount of challenges and I found myself needing to know what would happen to each of them. Just when I thought I was nearing the end of the book so much happens that it is just astounding. The best way to describe this book would be haunting. It stayed with me long after the last page was turned. On the eve of the monsoons, in a remote Indian village, Kavita gives birth to a baby girl. But in a culture that favors sons, the only way for Kavita to save her newborn daughter's life is to give her away. It is a decision that will haunt her and her husband for the rest of their lives, even after the arrival of their cherished son. Halfway around the globe, Somer, an American doctor, decides to adopt a child after making the wrenching discovery that she will never have one of her own. When she and her husband, Krishnan, see a photo of the baby with the gold-flecked eyes from a Mumbai orphanage, they are overwhelmed with emotion. Somer knows life will change with the adoption but is convinced that the love they already feel will overcome all obstacles. 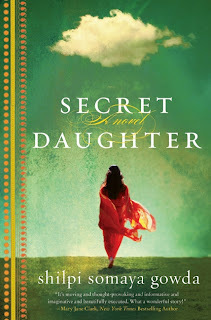 Interweaving the stories of Kavita, Somer, and the child that binds both of their destinies, Secret Daughter poignantly explores the emotional terrain of motherhood, loss, identity, and love, as witnessed through the lives of two families-one Indian, one American-and the child that indelibly connects them. Let me just start out by saying that I absolutely loved this book and it had me from the first page. The chapters are short and weave between the lives of Kavita, Somer and Asha. The story was so profound that I found myself not able to put it down, finishing it the same day that I started. I loved how it moved between each character and so flawlessly told the heartwrenching story of each woman. This is a book that I would highly recommend and encourage everyone to read.